 The winners of the 2017 Tes Schools Awards, held in association with The Royal Air Force, were announced on Friday 23 June 2017 at the Grosvenor House Hotel, Park Lane, London. 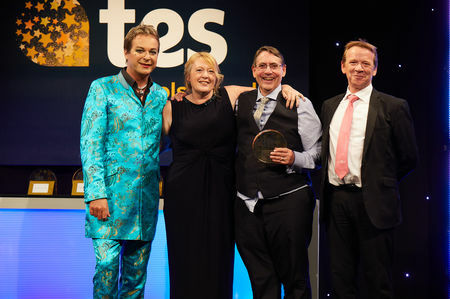 It seems fitting that the winner of this award has had a Rocky Balboa-style ascent to victory: it is, after all, a school based on the principles of boxing. The Boxing Academy started out in a shed in 2007 as a small boxing gym attended by four excluded pupils. Since then, it has gone from strength to strength and now supports 40 students in a building in the heart of Hackney Central. Staff at The Boxing Academy ensure that when students step through the door, they receive a fresh start, regardless of where they have come from or what they have been through before. They work towards five GCSEs alongside hitting the gym for boxing sessions that the school says improves concentration as well as fitness. The results suggest that this approach works: 80 per cent of pupils achieved five GCSE passes in 2016 – well above the national average for alternative provision – and 100 per cent of leavers went on to a place in college or on an apprenticeship. Such results are remarkable considering the young people who attend the academy have been excluded for using violence and anti-social behaviour to mask their vulnerabilities. Combining the boxing with clear boundaries and a familial environment appears to have created a situation in which these young people feel safe and supported enough to thrive. Tim Goundry may not be the most prolific sharer of resources, but those he does offer to others are embraced in such numbers that it is clear that what he produces is of the very highest quality. His 33 uploads have received 37,370 views and been downloaded over 81,200 times, a phenomenal tally that proves he is more than worthy of the title of resources author of the year. Goundry is based in Dar es Salaam, Tanzania after several years working as the deputy head of English in two South London schools. His suite of resources, especially the schemes of learning addressing recent changes to the curriculum, is particularly helpful to secondary colleagues preparing for the new GCSE specifications. Goundry has taken care to sequence and organise his lesson materials and supporting notes effectively to make them easily accessible to other teachers. Goundry’s contributions have been gratefully received, as demonstrated by the quantity of overwhelmingly positive reviews. When a small primary school is able to rally the support of over 1,000 volunteers from their local community to support children’s learning, it is surely a sign that there is something special going on. 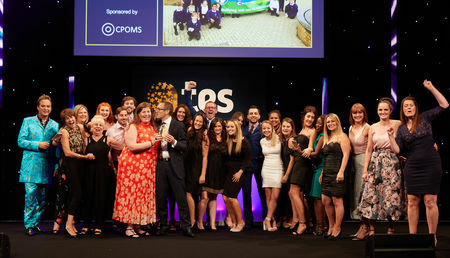 Parklands Primary School is based in an area of Leeds where 84 per cent of pupils receive free school meals. Yet despite the deprivation that the school faces, staff have worked tirelessly to secure many successful partnerships, including reading volunteers for the most vulnerable, solicitors offering weekly maths support, and the local bank supporting the teaching of mental arithmetic. 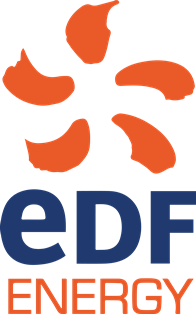 Many pupils come from workless households and have benefitted greatly from this exposure to the world of industry. Mentors work with pupils on enterprise and the fundamentals of business and children are regularly taken off site to work in companies in order to raise aspirations. The collaborative spirit of staff never rests. When they learnt that just six families out of 304 students had ever visited a Christmas grotto, the staff pooled their resources to open the school on Christmas Eve, bringing together several hundred families within the community. A total of 796 presents and Christmas lunches were given; one company even donated a team of real reindeers to welcome the children. In 2010, when staff at the Manchester Communication Academy began a local history project asking pupils to interview older adults in the surrounding area and record their memories, they had no idea how the endeavour would take on a life of its own. Since then, the “Once Upon a Time” project has grown to become a registered community group with a dedicated committee and over 500 members, who contribute to and receive a local history magazine three times a year. Members can also attend community events that pupils play an active role in and “drop-in” sessions – something that has been especially valuable for those people who might be at risk of social isolation. As well as supporting pupils to interact with and learn from their local community, the school also welcomes members of the community into the school to take a variety of accredited and unaccredited courses in subjects such as literacy, numeracy and cookery. Many of the 304 adults who enrolled onto these courses in 2016 live in postcode areas that are in the top 1 per cent of the most disadvantaged in England and Wales. Yet, by continuing to learn, they are setting an example to the pupils of Manchester Communication Academy that it is never too late to strive to improve yourself. On 6 April 2016, Sam the Space Dog began a daring mission. The white cuddly toy canine was launched into the air using helium balloons, a camera and a tracking device, as part of an experiment by pupils of Morecambe Bay Community Primary School to see how high they could send him. Undertakings like this one are all in a day’s work for these pupils, who are lucky enough to attend a school where the unusual is usual. 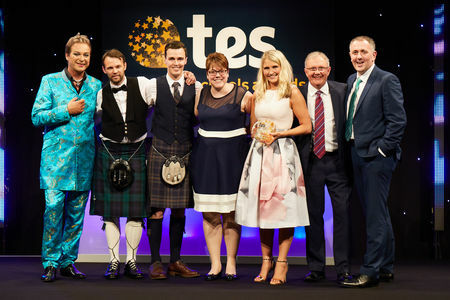 Set within a deprived community within north-east England, the staff strive to combat the effects of this through collaboratively devising a range of exciting and imaginative cross-curricular projects to raise pupils’ self-efficacy. This translates into a diverse and stimulating environment and blossoming creativity and aspiration in pupils. At Morecambe Bay, creativity is embedded in every aspect of teaching and learning. Teachers work tirelessly to inspire children with a love of learning. 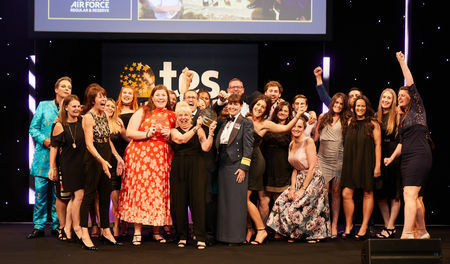 Their imaginative whole-school topic on space travel not only created a palpable enthusiasm for learning, but also had an impact far beyond the school. The children launched a media campaign to find Sam the Space Dog that went viral and resulted in the pupils appearing on television around the world. The project fired pupils’ interest in Stem and Stem careers and has left a lasting impression of just how far their learning can take them. There are many cynics in education when it comes to the use of technology, but it would be worth their visiting Victoria Education Centre before they come to any final conclusions. This is a place where learning has been directly improved by the use of ed tech. As a special school for students with physical disabilities and complex health needs, Victoria Education Centre uses technology to help all students to access and engage with the curriculum. Mobile devices are used to make learning environments more interactive and to create sensory experiences, while more advanced electronics are used to give auditory feedback that encourages students to communicate. Gesture-controlled motion and eye-sensing technologies help students to explore and affect their environment, while also developing their motor skills. The school’s excellent results should help to further convince anyone who still fails to see the value of ed tech. Victoria Education Centre has seen 80 per cent of students making the expected progress or exceeding it. The school has also seen an increase in literacy and communication skills, which has had the knock-on effect of improving pupils’ confidence and self-esteem. Of all the places the musicians of the Liverpool Philharmonic orchestra have played, Everton Nursery School and Family Centre must be among the most surprising. And yet to these musicians the setting is very familiar: the members work here with the children regularly. And they are not the only ones. Also in regular attendance are artists from Tate Liverpool. This outreach, part of an effort to connect the young people in one of the most deprived areas of the city with the cultural spoils on their doorstep, is just one of many initiatives the staff have set in motion to improve the lives of the young people they teach. Other highlights include an extensive programme of outdoor education, a nurturing environment to provide support for students who are likely to find mainstream education difficult, and diverse learning opportunities to ensure that the complex social, emotional and behavioural needs of many of the children are met. The school caught our judges’ attention because of its sustained service to the local area and its innovative approaches. “The music programme is a fantastic example of how the arts can have a powerful impact in the earliest years of a child’s life,” they said. “It was lovely to see the celebration of a thirst for knowledge and a love of learning that the setting achieves for its children”. Turning a class of reluctant readers into enthusiastic bookworms is challenging for any teacher. But the English team at Dagenham Park Church of England School have encouraged even the most stubborn of students to pick up a book. 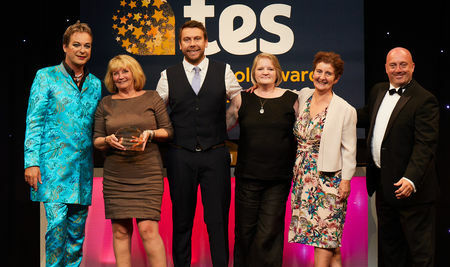 Limited resources haven’t stopped this team of dedicated teachers from delivering creative, passionate and engaging lectures, parent classes and additional lessons for pupils. When intertwined with extra-curricular activities such as film clubs, theatre trips, and contact with contemporary poets and authors, the positive approach towards literacy shines throughout the entire curriculum. And their reach goes beyond school walls. Very few of Dagenham Park’s pupils’ homes had books, but the invention of “book-buzz” has changed that. Every student now has a book at home and the school also hosts frequent book-related competitions. The teachers’ hard work and pupils’ enthusiasm are reflected in outstanding examination results that have placed the school in the top 1 per cent nationally. If staff at Sandringham School ever need to find headteacher Alan Gray after school, they know where to look: a quick glance at the extracurricular timetable will give his location, because Gray attends every extracurricular and social activity that the school runs. 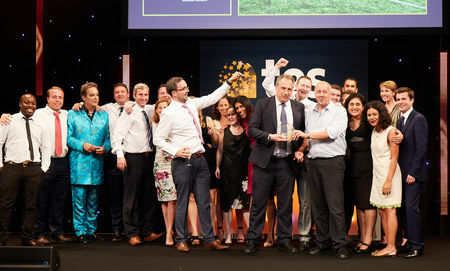 Since becoming headteacher in 2005, Gray’s energy and persistence has taken the school from strength to strength, keeping it in the top 50 non-selective mixed comprehensive schools in the country. 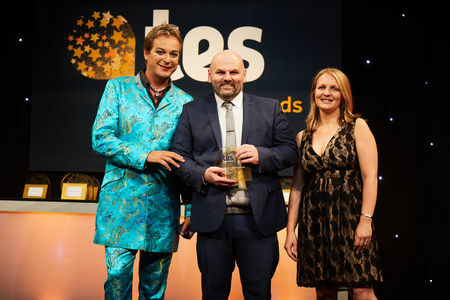 He is a galvanising force in his school, going beyond his role to support and inspire others. He takes the time to read and add a personal comment on every school report of the 1,300 students, and used his relationships with Amateur Radio and the broader science community to enable Sandringham to be the first school to make direct contact with British astronaut Tim Peake on the International Space Station on live television. Gray is fantastically outward-facing and champions sharing best practice through his many roles outside the school, including chair of Hertfordshire Schools Forum. As well as mentoring headteachers in other schools, Gray has a tremendous ability to develop leadership within his own team, and he encourages a strong team spirit. He is described as “a source of inspiration and motivation”, instilling a belief in everyone under his tutelage that they can achieve anything. If you want students to make healthy life choices when it comes to eating, then it helps if the supply chain for their lunch is centred on the on-site farm. Healthy lifestyles and choices are deeply embedded in the school, with every child participating in a comprehensive cooking and nutrition curriculum and an exciting programme of sporting opportunities. The school farm allows children to share the experience of sowing, harvesting, cooking and eating food grown on site. This enriches the science curriculum by giving children a thorough understanding of nutrition, horticulture and environmental waste, while also promoting positive attitudes to eating. These attitude are shared with pupils’ families, who are regularly invited into school to be cooked for and served by their children. In conjunction with the The Real Junk Food Project, the school also holds weekly waste-food stalls, making perfectly edible supermarket food available to families on a donation basis. Surrounding sports clubs provide many hours of free coaching, after-school clubs and access to off-site specialist facilities as a result of partnerships set up by the school. The range of physical activities on offer means that children are more likely to find a sport they can engage with for life. Twinning projects are nothing new, but it is rare for two schools that exist in almost entirely different worlds to partner up. Frances Olive Anderson Primary School in rural Lincolnshire has, for the past five years, been twinned with Mohammad Shamel State School in central Beirut, Lebanon — a school at the very forefront of a crisis that is usually all too distant from our shores. Mohammad Shamel State hosts 400 refugees from Syria, Palestine and Iraq. The pupils there have helped the children of Frances Olive Anderson to put a human face to the headlines about the current refugee crisis. The partnership has been such a resounding success among the pupils at Frances Olive Anderson that staff have decided to support schools in the local area to form similar arrangements. They have now helped to facilitate more than 10 new partnerships and led a group visit to the Middle East so that the partner schools had a chance to meet. 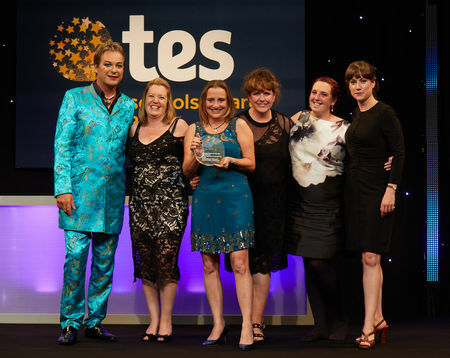 “A headteacher who consistently shows endless empathy, compassion and the utmost professionalism” is how one person who has worked with Sine MacVicar describes her. Others call her “selfless” and “exceptional”, but the word that crops up most is “committed”. This is not simply because she has dedicated 44 years to Dunbeg Primary School. 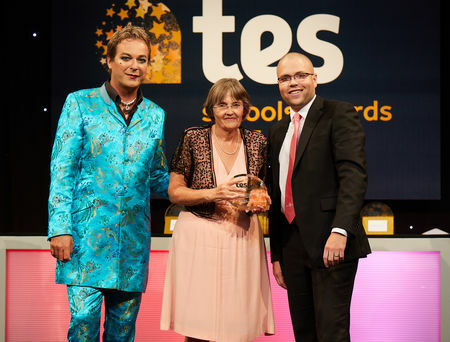 It is because of all the hours that she has devoted, both in and outside of school, to developing the students in her care, broadening their horizons and encouraging them to excel. Ms MacVicar’s reputation for excellence and inclusivity extends beyond her school and is firmly established within her community, in which there are few whose lives she has not touched. She is a long-standing figurehead in Girl Guiding, runs various groups for young people and actively supports her church, providing professional advice whenever new staff are appointed and regularly visiting parishioners in their homes. She invites elderly members of the community into the school to be cooked for and entertained by pupils for the harvest lunch and the school nativity concert is always oversubscribed. Her child-centred approach means every one of her students feels nurtured and cherished, with many turning to Ms MacVicar for advice long after they have left school. She is described as “the embodiment of what a great headteacher should be” and has even had a new street in Dunbeg named after her to honour the work she has done. Maths at Alperton Community School is a very physical experience. Lessons on probability feature large fluffy dice, and explorations of nets are conducted via the task of creating 3D “angry birds”. It’s all part of an effort to engage students reluctant to get involved with maths. Alperton Community School is a non-selective academy in a poor area of London, where a challenging and imaginative maths programme for all abilities has made students excited about studying maths. 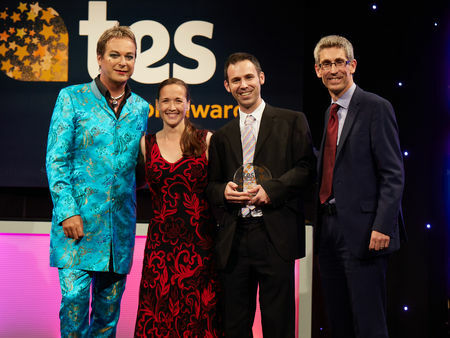 Staff strive to equip students with key numeracy skills but also work to foster a passion for the subject through ambitious enrichment activities, including chess competitions, master classes, Pi day, maths in action and trips to the V&A Museum and Institute of Education to show students how maths is used in all fields. The team incorporates a range of real-life examples in their teaching and make use of props to help bring the subject alive. Students are inspired to think independently in applied and abstract ways, with top-performing students competing against their contemporaries across the country in the UKMT maths challenge – this year winning five gold, 29 silver and 37 bronze awards. The results at Alperton Community School have been outstanding. Students achieved 81 per cent A* to C in GCSE mathematics; 96 per cent A* to C for statistics and 99 per cent A* to C for further maths at key stage 4. The school is among the top 1 per cent in the country for progress from KS2 to KS4. 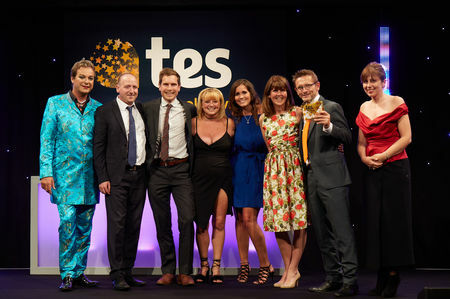 To win the highest accolade of the night at the Tes Schools Awards, it isn’t enough to just be excellent at everything you do. A school has to offer more: that spark of something special that makes judges sit up and want to shout about what they’ve seen to everyone they meet. Broadford Primary School met that criterion and then went beyond it. 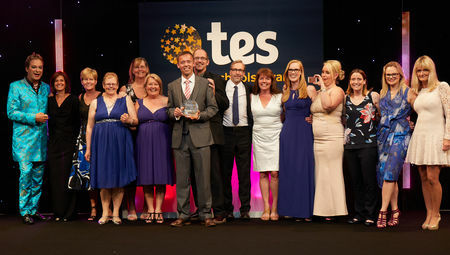 In a rare unanimous decision, it has taken the top award for not just being the best school it can possibly be, but by being an essential cog in the wider community, driving change beyond its gates so that every child – whether they’re part of the school or not – has the best chance of a rewarding and successful life. 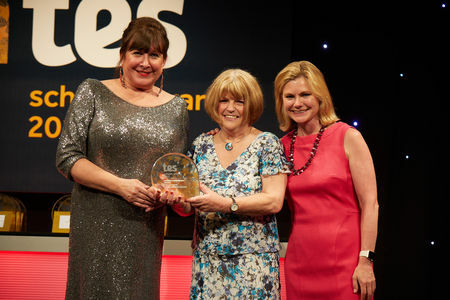 As you will read on their winner’s page for the Primary School of the Year Award, the school has embarked on an ambitious and wide-ranging mission to improve the lives of the people it serves. 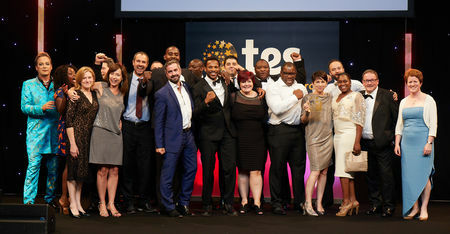 Remarkably, it has managed to match the success it has had within the school with huge success outside of it. That is a rare achievement – and one that the judges felt needs to be celebrated so that others can learn the secret. 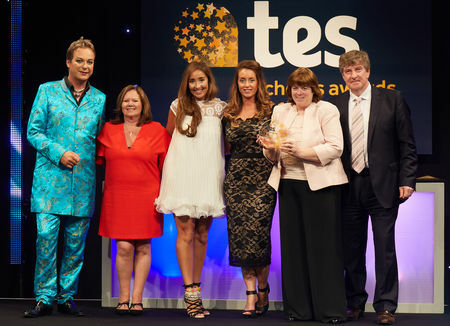 Like the judges, we want to shout about this school as loudly as possible. And after seeing what they have achieved, we are sure you’ll want to do the same. It is no easy feat to give pupils access to an exciting range of educational experiences while also providing the rigour that will allow them to achieve their academic potential. But this is something that Broadford Primary School has managed to do with style. 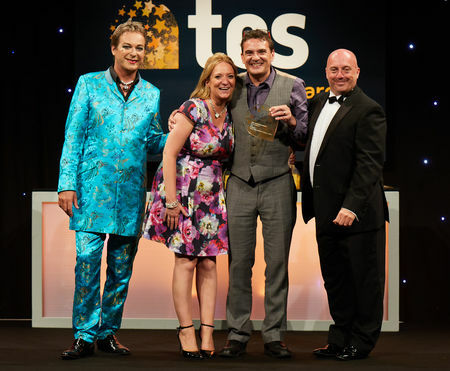 The school’s commitment to delivering fantastic results while also offering a varied curriculum bursting with creativity and culture truly won the judges over. Through a programme of “experience entitlement”, the school provides every child with opportunities to visit museums, galleries and sporting events, allowing them to benefit from the kind of cultural experiences they might otherwise not be able to access. By setting up book clubs and reading leagues, the school has raised the number of pupils attaining the expected standards for reading. Meanwhile, weekly Friday-afternoon sessions in which pupils spend an hour learning new skills, from knitting to languages, have helped to improve engagement and get pupils excited about coming to school. The judges were impressed by the school’s work to support other primaries in the local area. After forming a learning federation with Broadford, the nearby Mead Primary School saw its results improve dramatically, going from being in the bottom 20 per cent to the top 5 per cent between 2015 and 2016. When Kirsty Mitchell came to choose which university course to apply for, her years at Larbert High School made the decision a no-brainer: she was going to study chemical engineering. Larbert High’s practical, careers-focused approach to science, technology, engineering and maths seeks to help pupils like Kirsty to see a future in Stem as a realistic option. And their methods clearly work. Stem is embedded in everything the school does. Pupils are encouraged to take part in an innovative “Stem academy” programme that allows them to complete projects based around Stem skills outside of the regular curriculum. Pupils create crystals, design straw-powered paper aeroplanes and compete in national competitions such as the UK-wide BP challenge. To ensure that the whole community gets on board with the Stem-mania, Larbert High runs an annual week-long series of events based around Stem, which this year included evening seminars that were open to pupils, parents and members of the public. Feedback on this outreach has been so positive that the school now plans to build on this by hosting a series of events that will include local primary schools. Turning around a school is difficult. The obstacles in your path when you are the lowest-ranking school in your local area are numerous and complex – public perception, difficult recruitment and legacy underachievement are just a few of the issues that need to be addressed. So quite how St Thomas the Apostle College managed to go from this difficult situation in 2012 to ranking 11th in the national league table for Progress 8 in 2016 intrigued the judges. What they uncovered in the school’s entry was a story of commitment, hard work and a steadfast belief in not just improving students academically, but personally. Teachers realised that by supporting students to pursue their existing passions, they could transform their academic achievement. Among the school’s success stories are Dominic Mensah, who was selected to represent Great Britain at the European Gymnastics Championships in Valladolid, and Ademola Lookman, who signed for Everton football club in January. 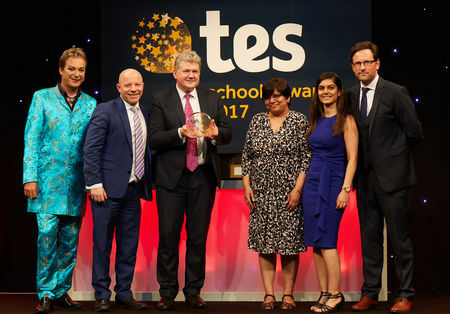 That it managed to nurture unique talents alongside rigorous teaching, which resulted in the school achieving its best ever results in 2016, is a rare achievement that all the judges felt deserved huge congratulations and that ultimately got the school the nod in this category.